Room in a communal attachment or a problem? Communal apartments still have the right to exist, and the purchase of rooms in such apartment becomes a choice for many young families. When buying room no matter whether privatized the entire apartment, enough to offer the room was owned by her master. To become a full owner and to buy a room in a communal apartment it is possible, given certain legal technicalities. If you already live in a communal apartment, along with the rest of the neighbors have the pre-emptive right of redemption of a privatized room, which sells one of them. When the rest of the neighbors do not wish to purchase additional room, witness their failure. A neighbor, selling a room, is obliged to send you notification of sale and, if the rest of him does not respond within one month, it will be deemed a waiver of foreclosure. If the price of the apartment you are satisfied, you will be the lucky one who will get additional living space. In the case where only this privatized, for sale room and the rest of the apartment residents enjoy the rights of social hiring, the right to acquire the room has and the municipality. Get a waiver from city by contacting the district Council and attach to the application the consent of the owner of the room for sale. Privatized room you can try to purchase from the city, but many large cities put quite severe restrictions, and such purchase is fraught with big difficulties. In this case, the action takes article 59 of the Housing code, which sets forth the sequence of granting of the apartment or its subsequent redemption. In accordance with the law, if you want to buy a room in a communal apartment, prepare a package of documents and submit it to the district or regional housing authority. It includes a statement about buying a vacant dwelling, single housing order, explication and floor plan of the apartment, the calculation of the BTI, which determines the selling price of the dwelling. Remember that you should hurry and collect documents in less than a month from the date of receipt of the notice. If for some valid reason you don't have time to do so, submit documentary evidence of his absence or illness. Submitted documents competent authority considers, the city's housing Commission. In the case of a positive decision you will be concluded the contract of purchase and sale, the reason for which will help permit the repurchase of the vacant dwelling. The deal will come into force only after the state registration of the contract. Ransom/the accession of vacant rooms in communal apartments. This article will be of interest to residents of communal apartments, in which rooms are exempt in connection with moving/leaving former neighbors. The owners and users of rooms, and provided the living area and the funds may redeem these rooms at prices slightly lower than market prices on the housing market. 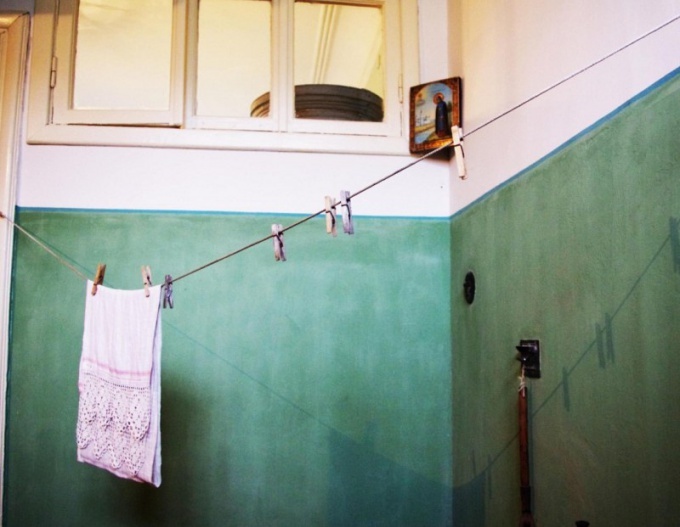 A communal apartment: how to attach room. Muscovites, which is visited by nostalgic feelings for the Soviet invention under the name "kommunalka" is likely a long time do not live in it and have forgotten about the communal way of life. Those who to this day is faced with all its "charms", dream about the keys to individual apartments. And when released room in a communal apartment, there is a chance to bring the dream of his life. To join for free or to buy? How?